Tragedy has struck. On May 31st, shortly after 10:00 AM, an all-electric version of the Magnus Fusion — the eFusion — crashed, killing the two men aboard. The incident took place near the Pecs-Pogany Airport in Hungary following a celebration of the outfit's new headquarters. 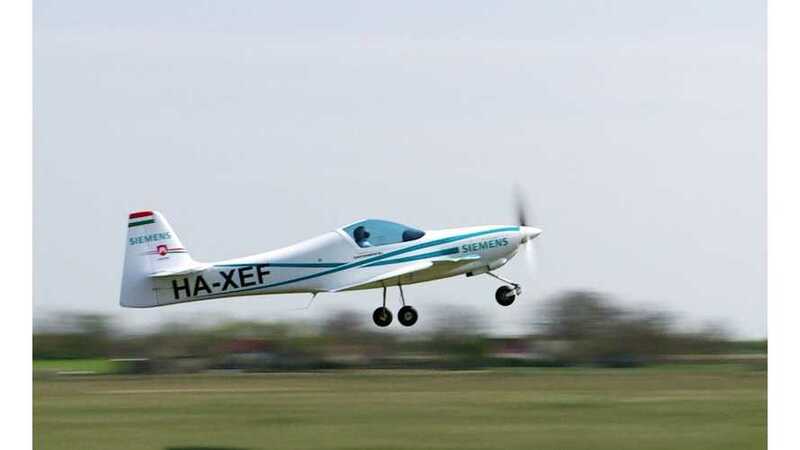 Witnesses say the battery-powered aircraft, which was built in cooperation with Siemens and powered by one of its motors, had done two laps of a large circular pattern, doing maneuvers at relatively low altitude, when it suddenly crashed. Fire was involved, though there are conflicting reports about when it was first observed. Hungarian outlet Hírösvény states it ignited upon impact, while AVweb claims witnesses reported first seeing a fire, then the crash. Siemens has issued a statement saying it has now grounded the eFusion fleet and is working with investigating authorities to determine the cause of the crash. The model made its maiden flight April of 2016 and was to be sold at a base price of 200,000 Euros ($235,363). According to the Magnus Aircraft website, the eFusion had a "built-in paragliding system that connects to the machine at three points and saves the whole aircraft in an emergency."